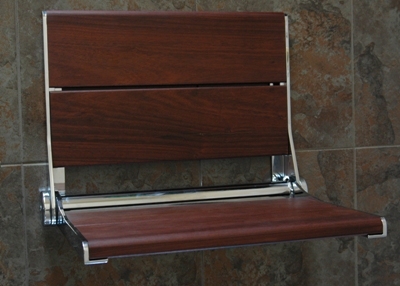 An exceptionally solid, wall mounted, fold down shower seat with a slim profile that features the beauty and resiliency of Brazilian Walnut. Known for it’s considerable strength, Brazilian Walnut is up to 3 times stronger than other wood surfaces such as teak. It’s also naturally resistant to moisture, mildew and decay. 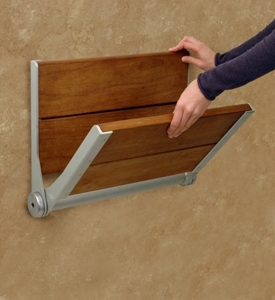 Simply fold up to store out of the way. 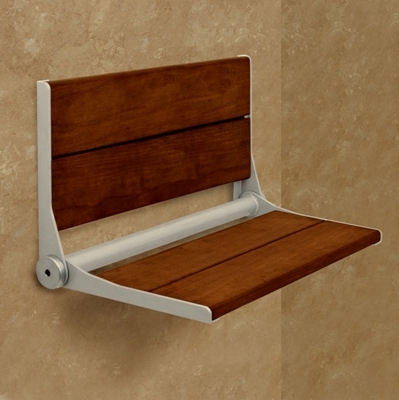 No need to lock into place, a tension hinge prevents the seat from inadvertently falling down. Two 15” concealed wall mount braces maximize wall contact and spread the weight-bearing surface for reliable support with a 450lbs weight capacity. Please Choose between different styles and sizes.